18/04/2019: A gem of a place, located just a 5 minute drive from the historic Hever Castle. 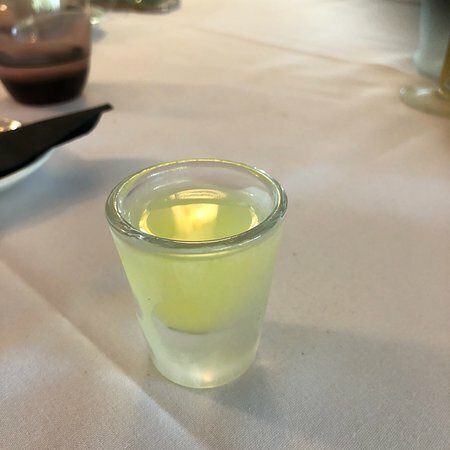 17/04/2019: Husband and I went for Sunday lunch on a rare child free weekend, and we wanted to try somewhere new in the area. The location is lovely and the Inn tidy and clean. We were greeted nicely and sat in the dining room. 01/04/2019: Nine of us descended on Giacomo’s for lunch a couple of Saturdays ago to celebrate my wife’s big birthday with the family. A large round table was provided so everyone was included in the conversation. 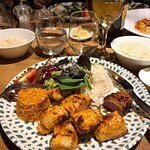 25/03/2019: Such an outstandingly good restaurant,. We find ourselves repeatedly returning despite the long distance from home. 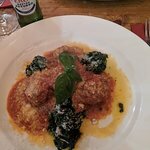 The meals are so delicious and of the highest quality and standards,Really a marvellous Italian restaurant. 16/04/2019: Wir hatten eine kalte Vorspeisenplatte und drei Hauptgerichte. Alles war frisch, sehr lecker und ansprechend angerichtet. Die Bedienung ausgesprochen freundlich! Sonderwünsche und doggy bag waren überhaupt kein Problem. Klare Empfehlung! 16/04/2019: Came here after being recommended by a friend. The meals were really good very well cooked very moist. Would definitely comeback. The service on the other hand could defiantly do with improvement there fore not given a 5 star. 17/04/2019: Paid a visit today for an early lunch with my partner, having not been here in almost 30 years. Had a very nice steak and chips, spicy skinny fries and sticky toffee pudding - which was all very nice. I had a couple of pints and my partner had an Appletiser and a sweet sherry. Felt it was a bit pricey but not unexpected for this area. 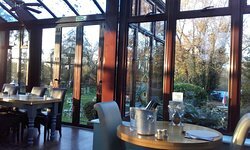 We had a very enjoyable afternoon - atmosphere very nice inside and outside with lovely views of the lakes and it was a beautiful sunny day. Will definitely be returning - will be trying their Sunday lunch, Would highly recommend. 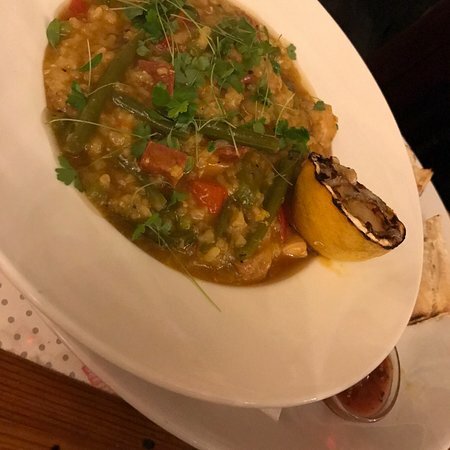 16/04/2019: We went here for the dinner on Saturday night we had heard good things but we where left disappointed the service was slow and the food was average. I had the beef burger which wasn't the best and the home made nachos were not as good as I've had from other places. The pub its self is lovely looking in a lovely spot opposite a lake. I would go back but just for a drink. 18/04/2019: This place is a real gem. Great service and an amazing choice of cakes. Loose leaf tea served properly. Love coming here. 16/04/2019: Since moving round the corner 18 months ago this has been our go to place for weekend treats. 12/04/2019: Had lunch here with my wife. Staff are pleasant and efficient. Food was authentic and very good. Quality ingredients too. Charming restaurant and clearly a one off. Will definitely come back. 17/04/2019: Had an amazing lunch celebrating my Mum's 74 Birthday. Food was hot and fresh and the staff very welcoming. Ordered a gift which was waiting for us when we got to the table which was a nice touch. Ended by visiting the cake counter and taking a selection of the lovely cakes home for afters!! Would highly recommend so much so that I am about to book an afternoon tea for Good Friday. 14/04/2019: Once again we enjoyed a delicious lunch served by smiling waitresses. Nothing is too much trouble and this in combination with high quality ingredients makes it a delightful lunchtime venue. We look forward to our next visit. 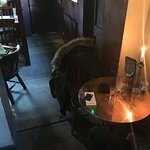 13/04/2019: Fine food, good ale and a great country atmosphere . Sunday roasts are a treat but book early. Reasonable selection of wine. 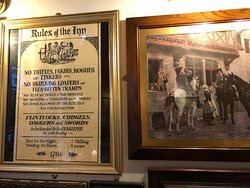 13/04/2019: Had never been in before but Popped in on the off-chance as the other local pubs we knew were full after the Point to Point. The pub was full but they very kindly accommodated us and apologised that there might be a bit of a wait. There duly was but well kept Larkin’s and crisps kept us going by a lovely little log fire. 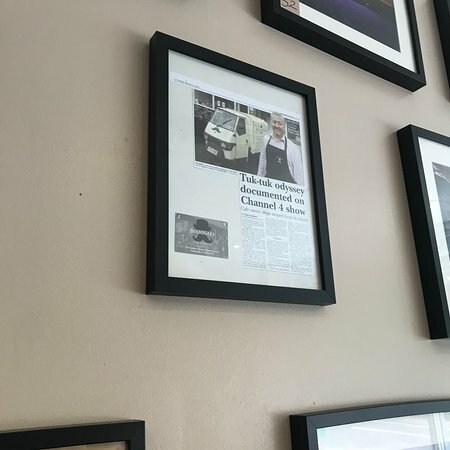 19/04/2019: We had been waiting for an hour with my husband for two bland cheeseburgers which were turmed so high ( quite small though)that you you could not possibly eat it neatly, There was obviously some mistake as one member of staff admitted. In the meanwhile a waitress denied this and tried to tell my husband that this was the earlier mentioned time period we had to wait for the 2 burgers. By a waitress we were asked every three minutes (in 10 minutes time) whether everything is OK. In the end the another waitress did not wait until I used the napkin and pulled the tray off from the table. All in all, it was a very unpleasant experience. 18/04/2019: Myself and three friends had a wonderful Sunday lunch here. Both the lamb and beef were very tender and was served up nice and hot with all the trimmings. It was busy but we didn’t have to wait long for our food and the service girl Millie was very attentive and polite. We will definitely be going back and the sooner the better! Well done! 18/04/2019: We eat here a couple of times a month, always great, especially Sunday lunch. 1st time at Quiz Night last wk, good fun, nice curry. 08/04/2019: Visited recently for the first time in years. The menu is not huge but still had several good choices. Our food was good and served promptly. The wine list is decent and well priced. Staff friendly so will definitely return. 29/03/2019: Dropped in as I was out for a lunchtime blast around Kent, free parking for bikes in village car park opposite so very convenient. 18/03/2019: Me and my mum had a delicious afternoon here today. 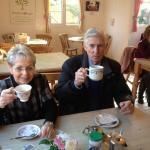 A full cream tea with sandwiches, scones, tea and a slice of cake! Only £12.50 each! The food was so so fresh, one of the nicest scones I’ve had in a long time. Lots of it too! The staff are wonderful and so friendly. 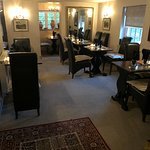 Fantastic 5* service and great food. 15/04/2019: We had supper in a garden cabana which was cosy and very private. The service was great and summoned by a call button in the cabana. Food was very good indeed, my plaice was extremely well cooked as were all the dishes. Service via the call button was prompt and friendly. All in all a lovely experience. Would highly recommend if you are in the area. 13/04/2019: 1st visit to this pub/restaurant, driven passed enough times. But decided to try it for our Mum's Birthday lunch. And so glad we did. I booked a table when we arrived was shown a nice round table in a alcove. After a little while the waitress came over with menu's & took our drinks order. Looked through the menu so much to choose from. Eventually chose our lunch, waitress came over took our order changed a couple of meals without any hassle. 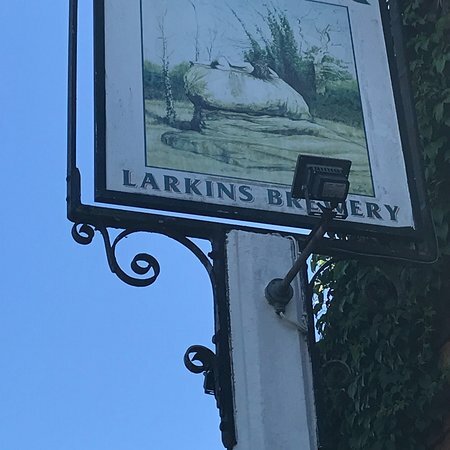 15/04/2019: We found this pub on a web search of the area. We are strangers to the area but received a lovely welcome to The Bucks Head. We heard during our visit that the present tenants are leaving on 1st July and just hope the new tenants continue to run the pub in the same way. Our lunch (fish and chips) was very good and the local Shepherd Neame ale very nice. We did not have our own dog with us on this day but were pleased to note it was very dog friendly. 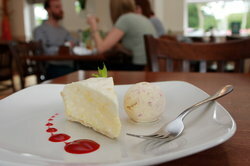 We thoroughly recommend it to anyone visiting the Sevenoaks area. 26/03/2019: We came across this pub/restuarant in the Good Pub Guide, and were very glad we did. Although we were total strangers here, we were welcomed like old friends.Very nice proprietors and staff, (and dog Maple), and very enjoyable lunch. If we lived nearer this would be our 'local'.We will certainly return soon. 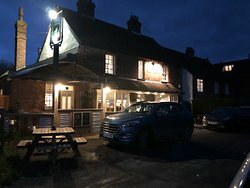 15/04/2019: We walked to this pub from a house we were staying in for the weekend, so a lovely 20 minutes stroll in the Kentish countryside, to arrive at this delight of a pub, walking boots outside, fire, rugby on the tv, good chatter and 8 of us managed to sit in and around the window seat for an afternoon drink. Wish this was my local, how I remember pubs used to be. 12/04/2019: I love this place. Its what a local pub should be like. Cold beer. Good food. Fab atmosphere. Im going again tonight!